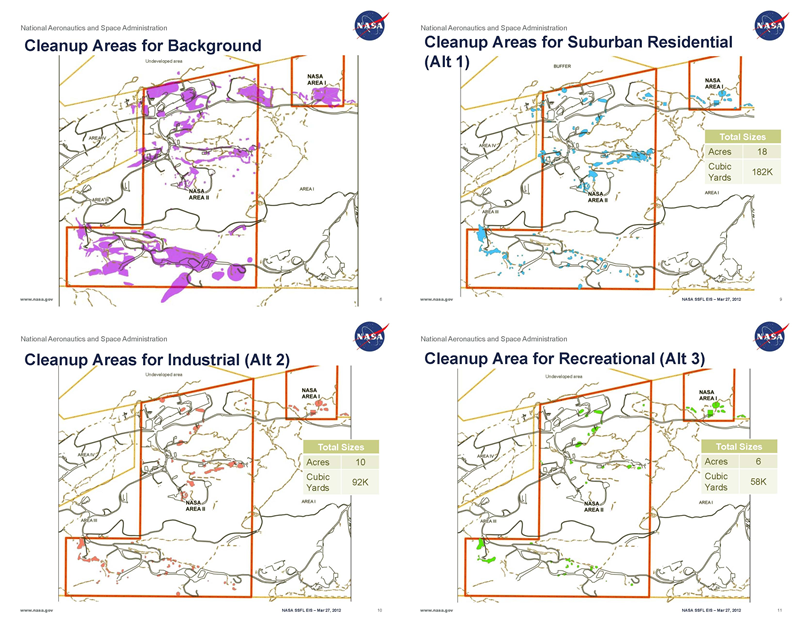 In July 2011, NASA released a notice of intent to conduct scoping and prepare an Environmental Impact Study (EIS) on demolition and cleanup for its portion of SSFL. Activists were alarmed by language that indicated an attempt to break out of its AOC with the state. Specifically, NASA indicated that it’s EIS would examine alternative cleanup standards – though the AOC requires a cleanup to background. 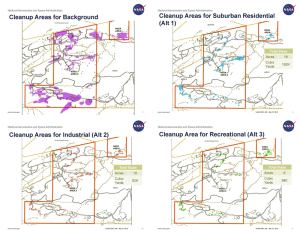 NASA claimed it was required to do so under the National Environmental Policy Act (NEPA), but in fact NEPA was considered in the AOCs, which stipulated that NASA limit its NEPA analysis to how to achieve cleanup to background, not whether to do so. Even DTSC expressed strong concern about NASA’s proposed alternatives and the issue of NEPA compliance, as did elected officials, and community members. NASA held a March 27 2012 public meeting in Chatsworth that confirmed the community’s fears. Despite the comments it received, NASA did not narrow the scope of the EIS. In fact, it broadened it to include new alternatives that would also violate the AOC. One was to leave all the contamination on site and put up a fence (“access restrictions” and “natural attenuation”), the other to leave all the contamination on site and create an on-site landfill for the toxic contaminants. NASA’s PowerPoint showed two sets of maps, one showing where the contamination is, and one showing the location of the test stands and related buildings which they would like to preserve as historic monuments. No surprise, those test stands and facilities are where the contamination is centered. NASA presented a decision tree for whether to leave the structures standing, claiming if the test stands have historic value, and if there is contamination beneath them, they could leave the structures intact and the contamination not cleaned up. If, of course, they determined it was “safe” to do so – even though the AOC requires the cleanup of all contamination over background. With charts showing inflated estimates of how many truckloads of contaminated soil would have to be removed for the various alternatives, NASA’s presentation seemed to this reporter that is was designed to frighten the community into leaving most of the contamination in place. The meeting disintegrated quickly with DTSC’s CAG petitioner Christina Walsh shouting profanities at this reporter among others. Outside in the hotel lobby longtime activists expressed their anger with NASA and the handful who opposed the AOCs defending the alternatives such as leaving the pollution in place. Meanwhile, Jim Biederman from the General Services Administration (GSA), who had pushed for transferring the land before cleanup, stood by beaming. And what did DTSC do? Nothing, because the agency did not even bother to send one representative even though their SSFL-associated offices were a mile from the hotel meeting. For Boeing’s meltdown makeover to work, it needs a dutiful DTSC and the agency has delivered. The department is as brazen in its contempt for the longtime community as it is actively complicit in the breaking of the AOCS. Since Raphael became director, DTSC has even allowed the Boeing to choose the contractor for the state’s Environmental Impact Report which is a conflict of interest on the face of it. At an October 25 chemical background meeting, DTSC project director for SSFL, Mark Malinowski, defended letting DOE run parts of the cleanup that were formerly conducted by the federal EPA in accordance with the DTSC-DOE Agreement on Consent. This suggests that DTSC won’t make DOE clean up Rocketdyne’s nuclear-related Area IV to background levels of radionuclides as the AOCs are eroded away. Malinowski’s plans to “mirror” the chemical background survey the same way the radiological background was done. Both surveys were supposed to establish backgrounds for toxins in order for them to be removed and the land and groundwater made normal again. 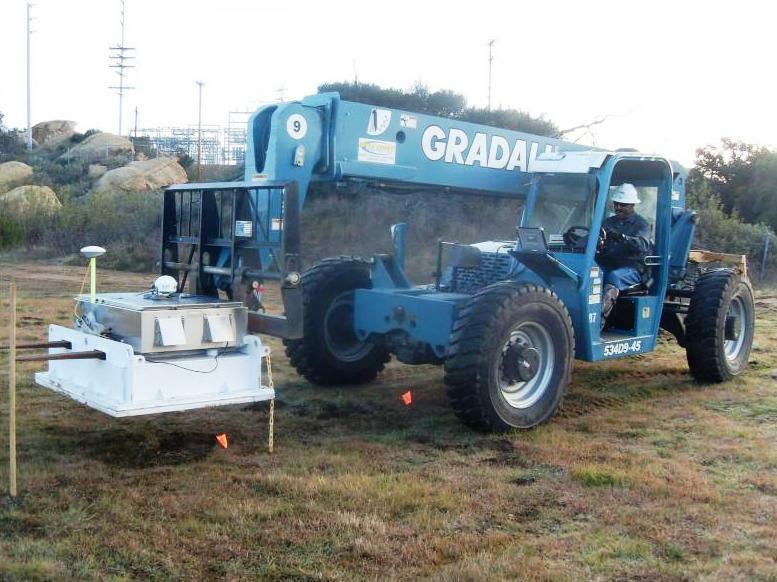 But as exposed by EnviroReporter.com in Radiation Readings Soar at Rocketdyne and Rocketdyne Still Hot, the radiation tests established proper backgrounds but then said that “Radiation Trigger Levels” (RTLs) would be used as the cleanup levels and not background. Radionuclides dozens of times above background would remain in the soil destined for unrestricted open space. The hot zones are radiating with high soil levels of cesium-137, strontium-90, tritium, carbon-14, cobalt-60, neptunium-239 and europa-152. All were detected by EPA many multiples above their actual backgrounds. One of the most feared radionuclides on the planet, plutonium-239/240, which even a minute amount of which can give a person lung cancer, will be left in nuclear Area IV of SSFL at levels nearly 20 times its background. Now the same deliberately innaccurate and radically less public health protective process will be used for the chemical contamination, according to Malinowski. 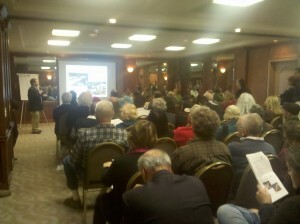 He told EnviroReporer.com April 11 that 900 samples from 200 locations were subject to 28,000 measurements. Malinowski’s mirroring would result in RTLs for chemicals many times their actual backgrounds, a scientific sleight of hand right under the noses of the community and the elected representatives who have fought for the Agreements on Consent. 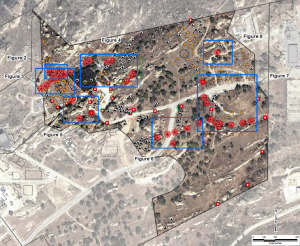 The AOCs’ premise is simple: clean up Rocketdyne to its background levels so the land and groundwater will be made whole again and the place safe to be a park. Simple and prudent as they sound, implementing the AOCs means actually cleaning up the defiled soil and not jaw-boning the contamination away. Thanks to Malinowski, DTSC and the federal EPA, it appears nothing will be remediated back to normal because the agencies have neither the will or wherewithal to find a laboratory that can perform these exacting tests down to the levels that were agreed upon – background. So whomever represents the community and whatever efforts are made to right a failing cleanup, this bait and switch will cost the taxpayers millions for a cleanup nowhere near as comprehensive as the one agreed to in the AOCs. The will of the people will have been thwarted, the land and groundwater left degraded, and future visitors to Rocketdyne will be exposed to unsafe levels of radionuclides. No amount of additional radiation exposure, especially ionizing radiation that can be ingested like the the poisonous radionuclides at SSFL, is safe according to a landmark study by the National Academy of Sciences in 2006. The additional exposures to SSFL’s panoply of pollution will statistically lead to cancers, some of them fatal. The up side for Boeing is that it would save a bundle. 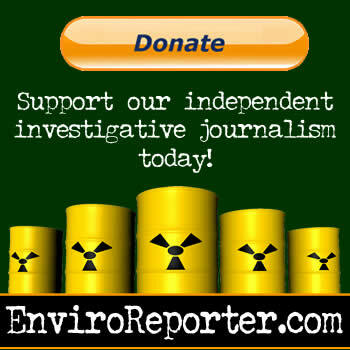 “This is like what it was 20 years ago but squared,” Hirsch told EnviroReporter.com referring to the DTSC’s return to behavior and actions that shamelessly show the department as ‘captured’ by the polluter. Indeed, Boeing has upped its demolition derby, first exposed in Dirty Deeds, EnviroReporter.com discovered October 22. 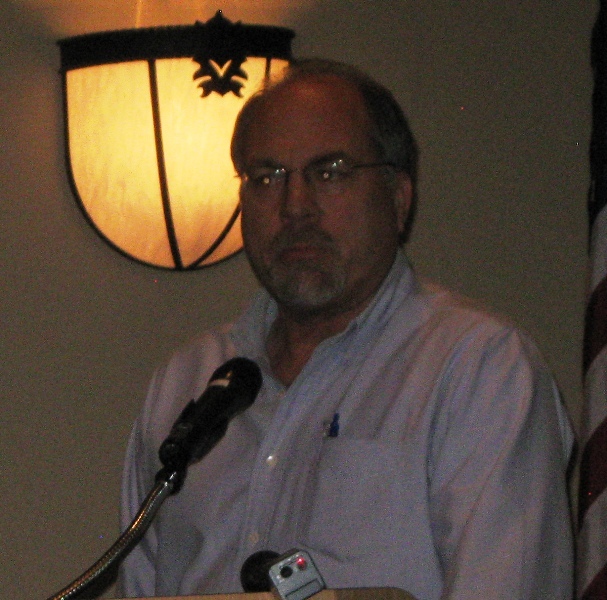 “Boeing is demolishing Building 15 in Area IV next week and sending the scrap metal to be recycled and DTSC claims that this does not violate the AOCs or a court order not to recycle radioactive metal into the consumer product stream,” said William Preston Bowling, longtime Rocketdyne activist and Radiation Ranger.